Altimeter Driver and Demo SPIN Source Code. 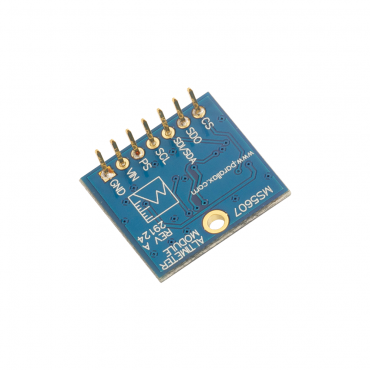 The Altimeter Module is a high resolution (20 cm) altimeter sensor. It will give extremely accurate, altitude, pressure, and temperature readings. The module includes a high-linearity barometric pressure sensor and a high-resolution temperature output, allowing implementation of an altimeter/thermometer without any additional sensors. Different operation modes allow the user to optimize for conversion speed or current consumption. 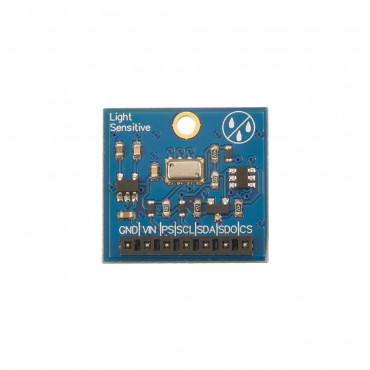 The module is designed for use with a large variety of microcontrollers with different voltage requirements. 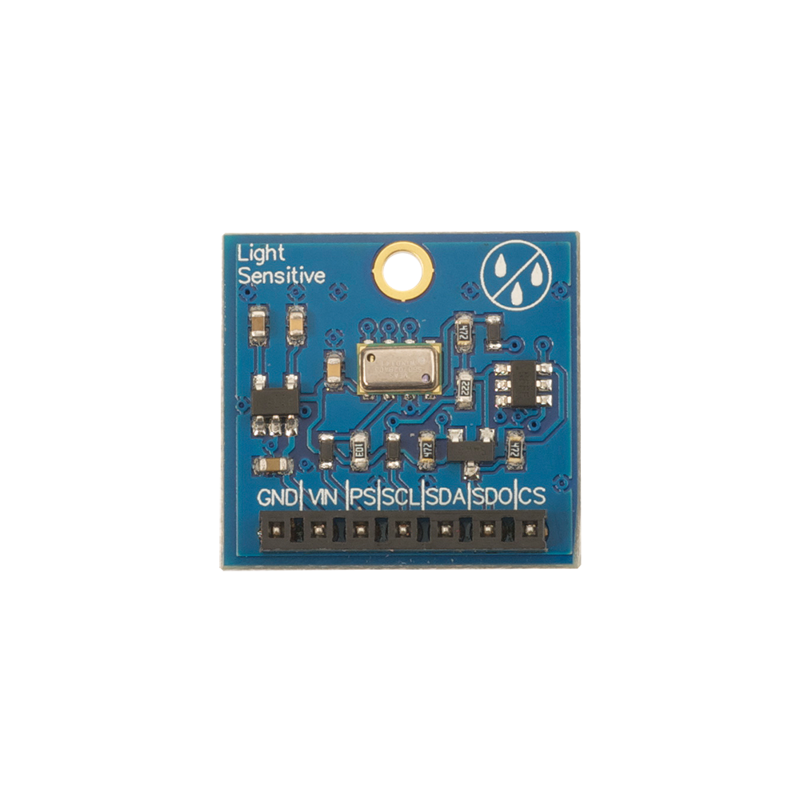 This module is well-suited for high-altitude ballooning and has been used with great success in that role. 24-bit pressure and temperature values. Successfully tested at 120,000 feet. Mobile altimeter / barometer systems. Rate of Climb and Descent Indicator (RCDI). Pressure range of 10 –1200 mbar. Thermometer of -40 to +85 °C with <.01 °C resolution. Power Requirements: 3.3 to 6.5 VDC. Communication Interface: I2C (up to 400 kHz) or SPI (20 MHz). Dimensions: 0.85 X 0.80 in (2.16 X 2.03 cm). Operating temperature: -40 to +185 °F (-40 to +85 °C).